Despite the fact that salt is a commonly occurring compound, pure sodium chloride (NaCl) is much more difficult to come by. Because of its hygroscopic nature, which tends to make salt coagulate and solidify, most granulated salt has anti-caking agents added. However, the addition of these agents is prohibited by most salt spray test standards. 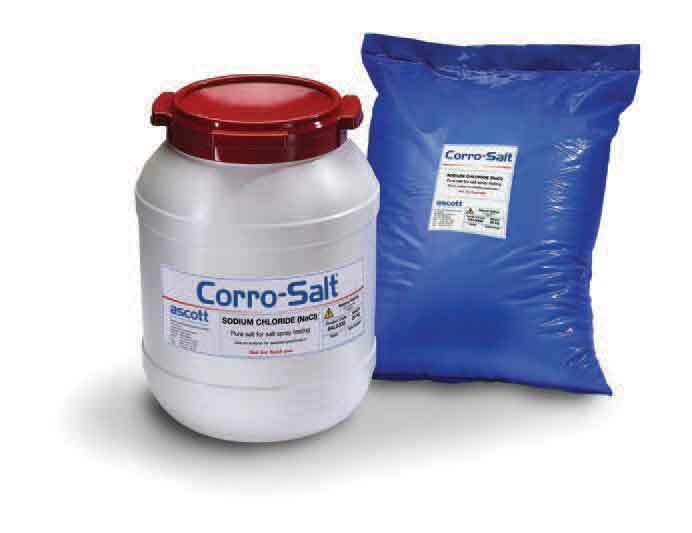 For example, the world’s most popular salt spray test standard; ASTM B117, prohibits the addition of anticaking agents, and also limits other impurities, as follows: total impurities < 0.3%, halides excluding chloride < 0.1%, copper < 0.3ppm – so the salt must be very pure indeed, with the limit for copper in particular set at an extremely low level. 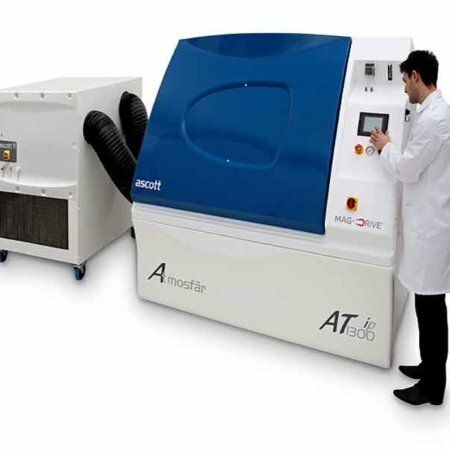 Other national and international test standards for corrosion testing are similarly demanding in their specifications. 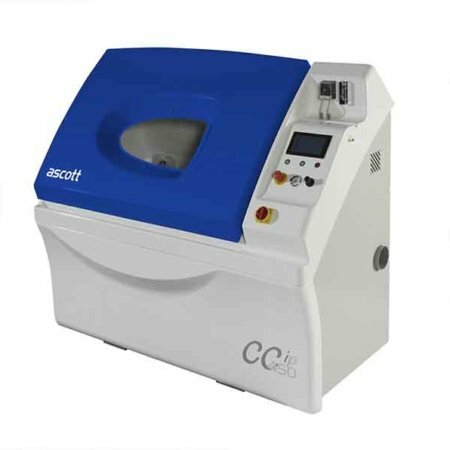 To ensure compliance with the highest standards, Ascott has had Corro-Salt independently analysed by an UKAS* accredited laboratory. *UKAS = United Kingdom Accreditation Service. 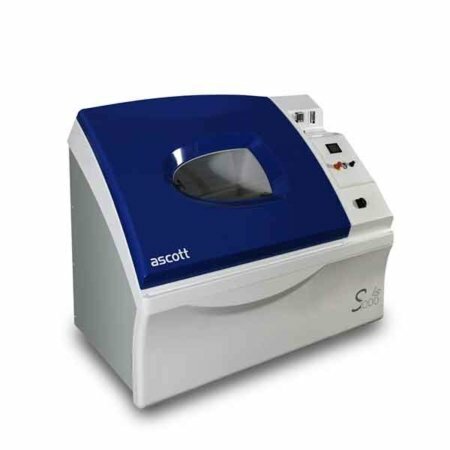 Highest purity salt for serious testing. Available in 25 kg drums or bags. 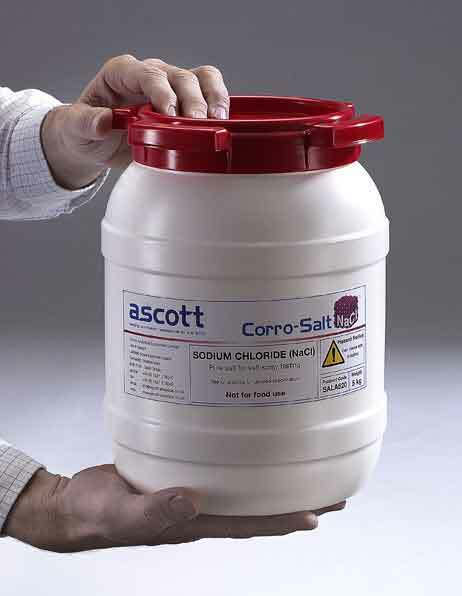 25 kg drums are supplied with a scoop to maintain purity when handling.